Nintendo isn’t the gaming powerhouse it once was. The company recorded consecutive losses from 2012 up until 2014, and sales of the Wii U and 3DS have been in decline recently. The Japanese firm is pinning its hopes on next year’s NX console, and the new Legend of Zelda game, being a success. But it’s also looking at other money-generating avenues, such as mobile games, movies, and licensing deals, which president Tatsumi Kimishima said was key to growing the company. 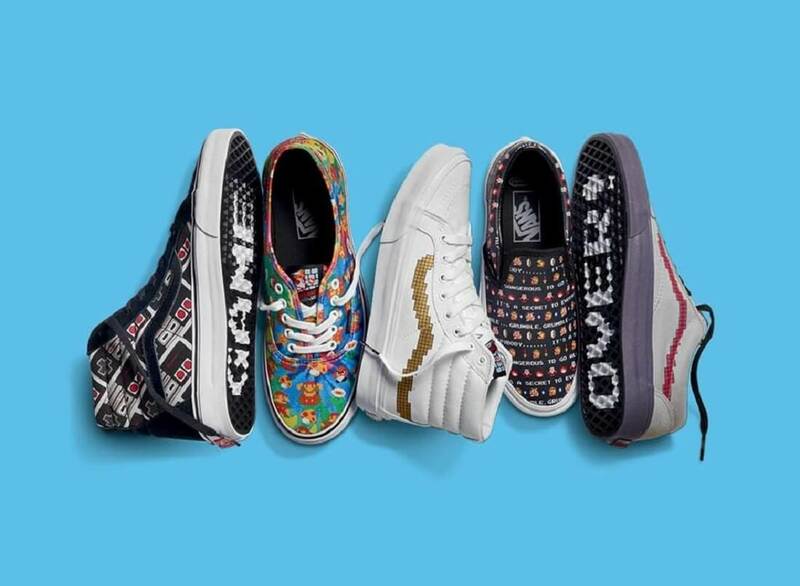 Nintendo’s latest licensing venture is a partnership with Vans, the manufacturer famed for its skateboarding shoes, to produce a range of retro-themed products. The shoes will feature prints from games such as Super Mario Bros., Duck Hunt, The Legend of Zelda, and Donkey Kong. There’ll also be images inspired by the Nintendo Entertainment System (NES), the company’s first ever console. The footwear, which also come in children’s sizes, will feature logos, quotes from famous characters (“It’s Dangerous to go Alone! Take This”), and images on the tongues and soles. In addition to the shoes, the collaboration will produce other Nintendo goodies, such as t-shirts, tank-tops, backpacks, flip-flops, bags, socks, and hats. Prices for the shoes are expected to range from $37 to $70. They will be available on the Vans website and from select retailers in various countries.